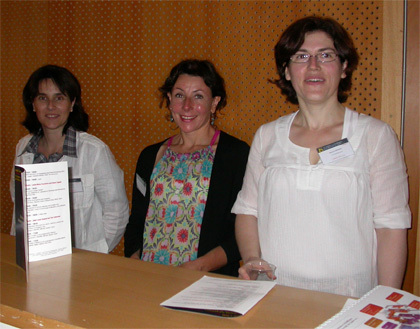 The 1-day meeting on “Transgenesis: recent technical developments and applications“, organized by Ignacio Anegon and Séverine Menoret, from the Transgenic Rats Common Facility of IFR 26 and Ouest-Genopole, University of Nantes) was successfully held on June 8, 2009 in Nantes, France. This meeting was co-sponsored by the International Society for Transgenic Technologies (ISTT). Invited speakers included: Michel Cohen-Tannoudji, Louis-Marie Houdebine, Kader Thiam, Toni Cathonen, Roland Buelow, Daniel Bujard, Edwin Cuppen, Cesare Galli, Lluis Montoliu, Marie Malissen, Jean-Louis Guenet and Laurent Lescadron. 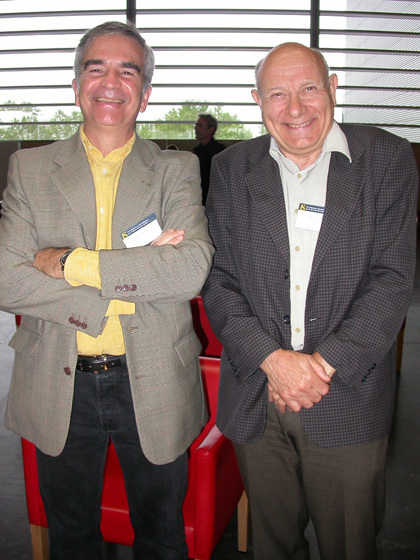 The meeting reviewed several topics in animal transgenesis, such as: animal models in biomedical research (immune system, neurodegenerative diseases), generation of the first knock-out rats, use of interference RNA, Zinc-finger nucleases, artificial chromosome-type transgenes, lentiviral vectors, ENU mutagenesis, rodents genome and transgenesis in non-mammalian vertebrates.